Happy Saturday! 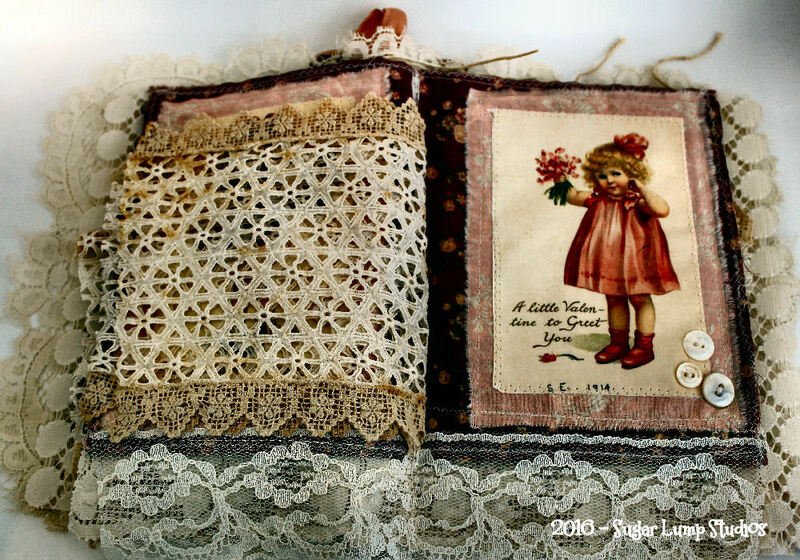 This little fabric book I made during January/February and was finally able to photograph it. I was truly lost without my camera – and while it was never repaired (long story and an unhappy one) I had to go and replace it because of my business. 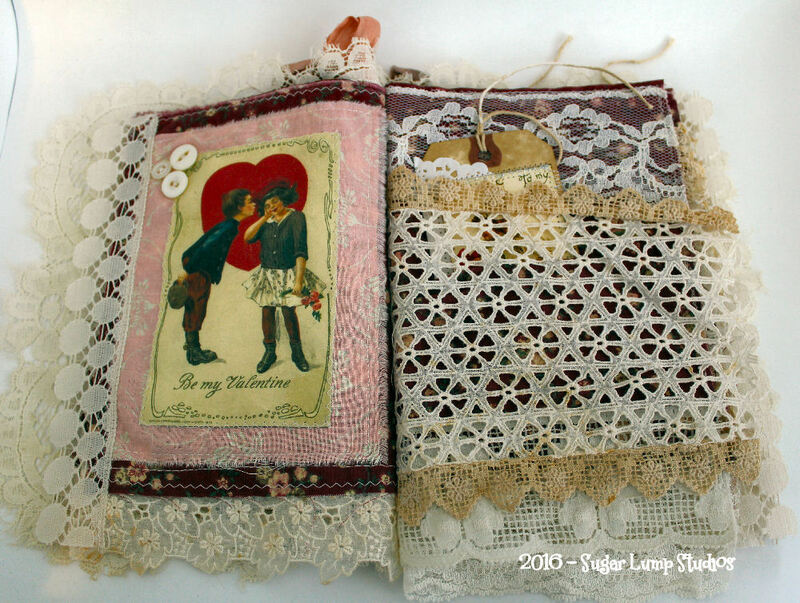 Each page is a fabric image of old Valentine postcards. 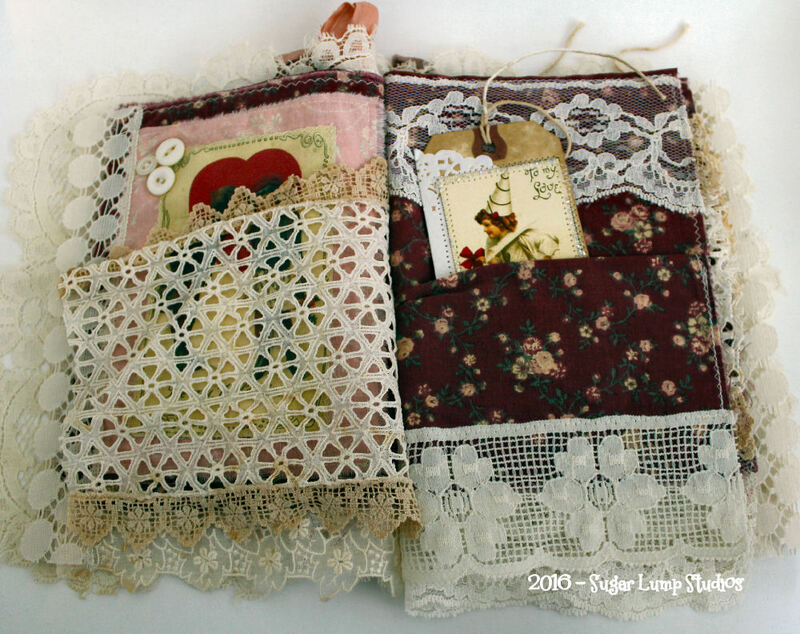 I added pocket pages, lace doilies and oodles of trim as well. 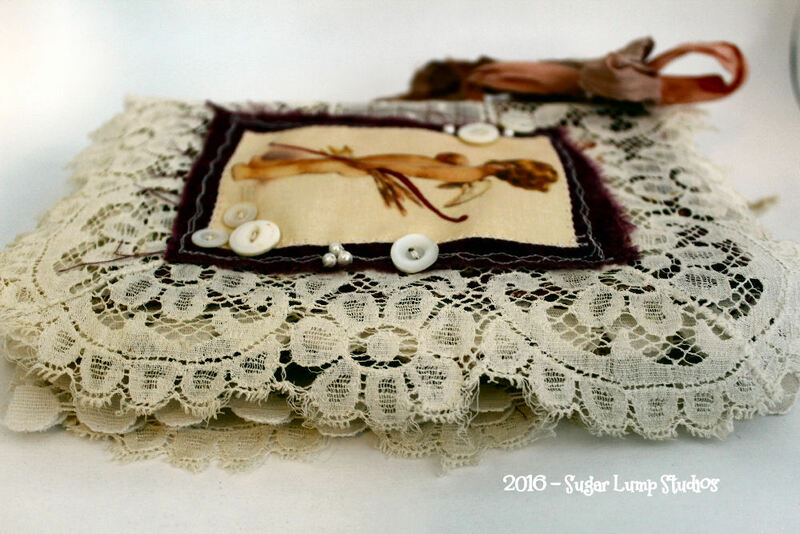 Sari silk tops the front cover. 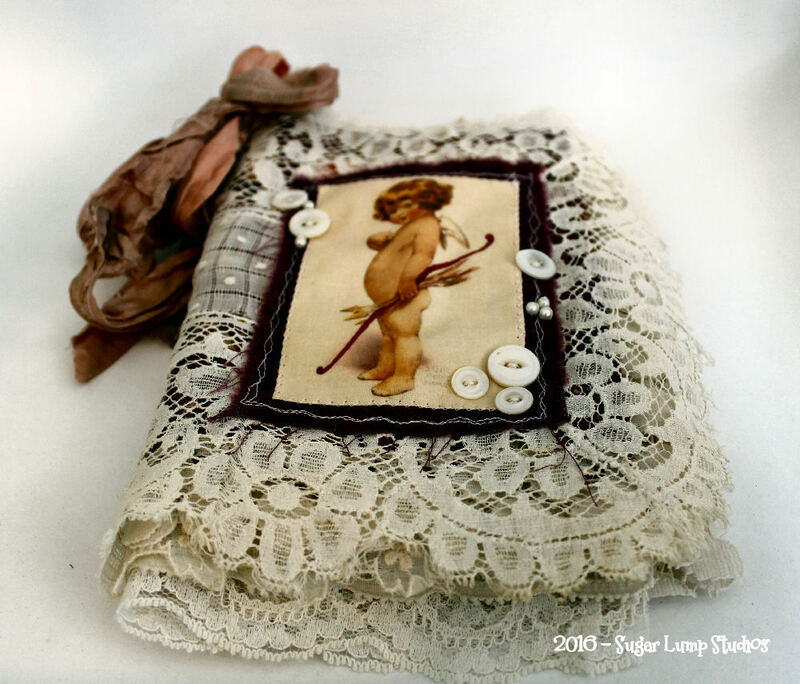 I am in a sewing mood again and hope to start creating more. 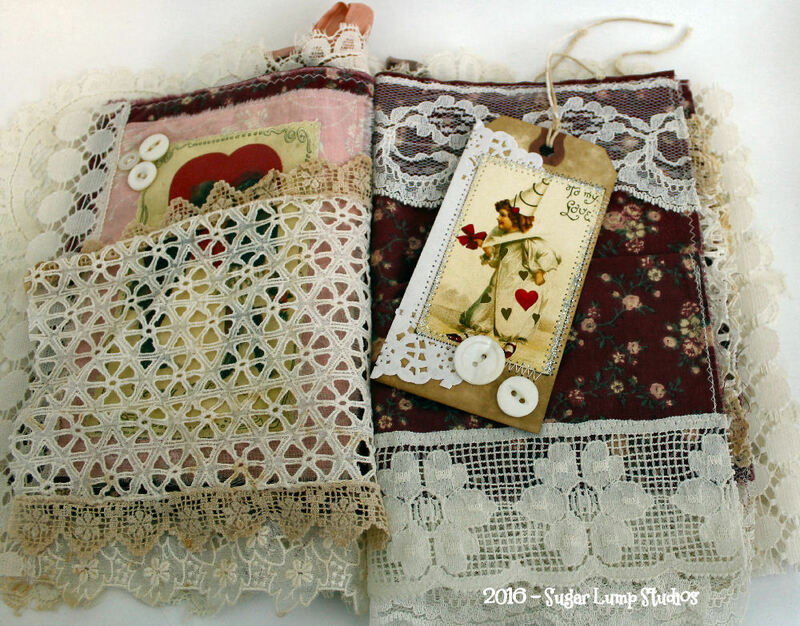 Dear Nancy, it is so adorable, I love the images you so beautifully transferred to fabric , and all the old trimmings and laces makes it so very romantic and sweet. 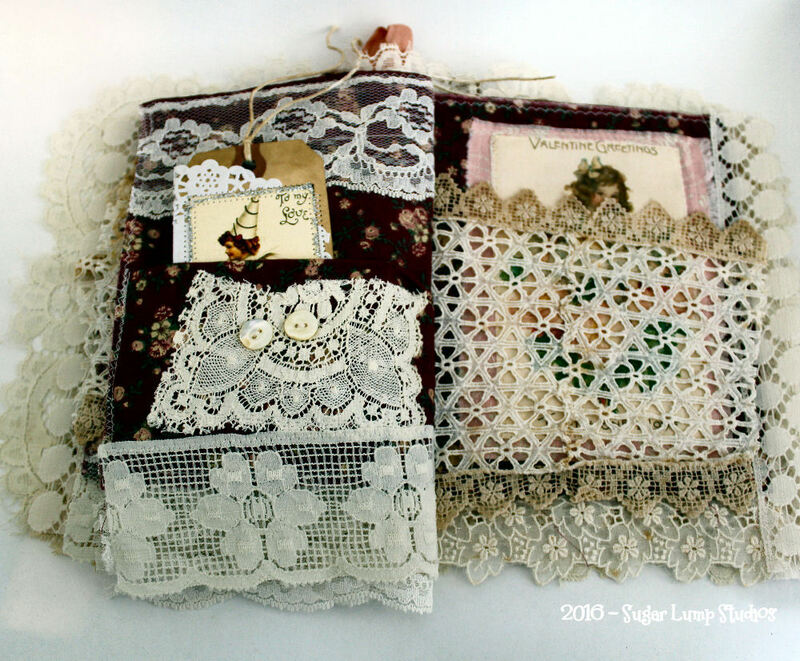 I´`m happy you have started sewing again, I have always admired your fabric pieces, and this one is gorgeous. 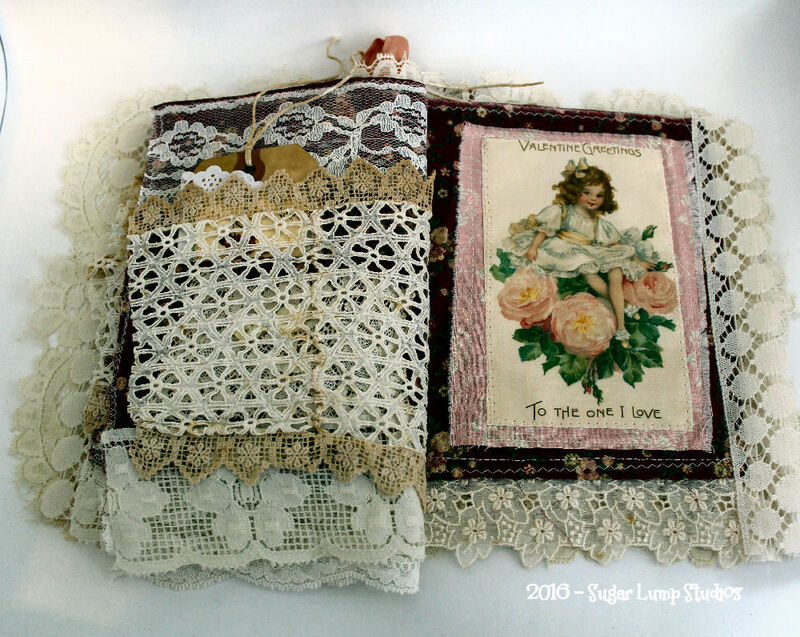 what a lovely little book – the laces and trimmings are so gorgeous with the darling little valentines – love to see your creations – if you ever need some more old linens and laces let me know – i have tons i’ll never use. A real sweet Valentine. 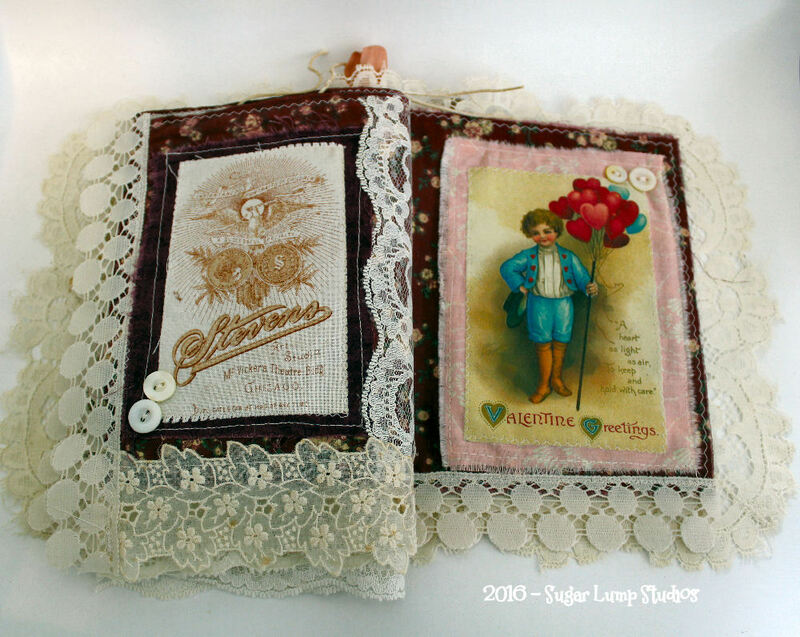 I also love the fabric images. I’ve done a little of that, but I need to make some more. 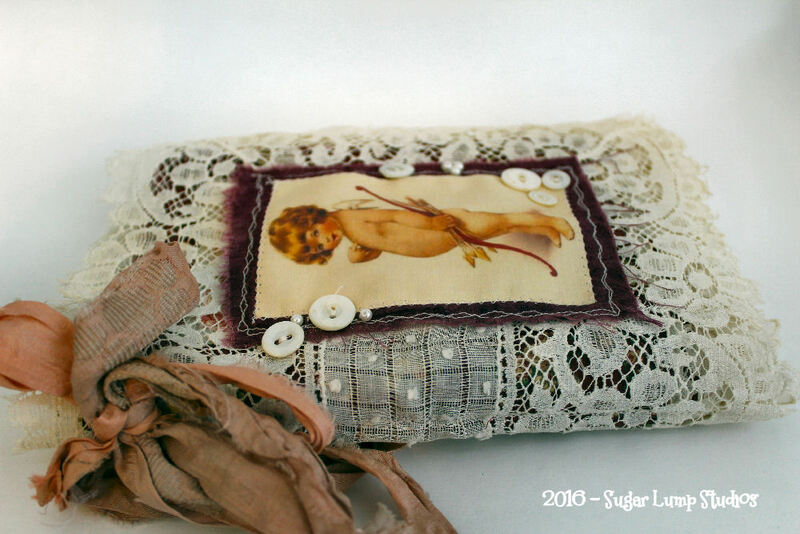 There’s something special when these old images are printed on fabric instead of paper. 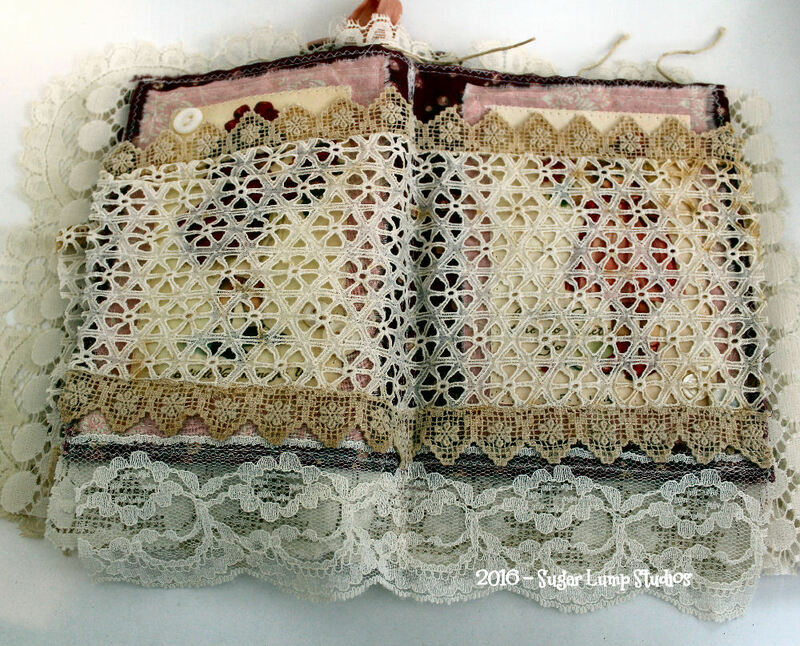 Hi Nancy, what a great lace book you’ve shared today! 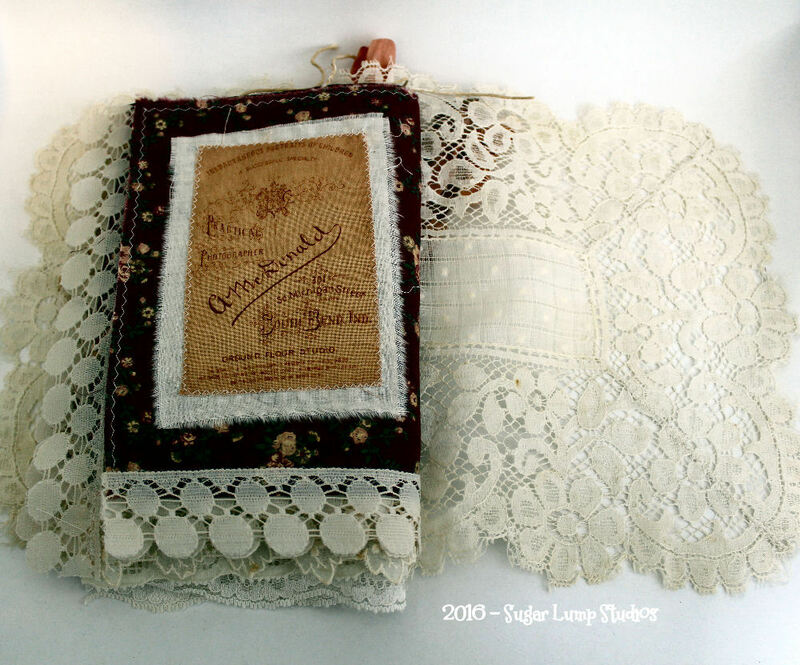 It’s beautiful and made with great details! 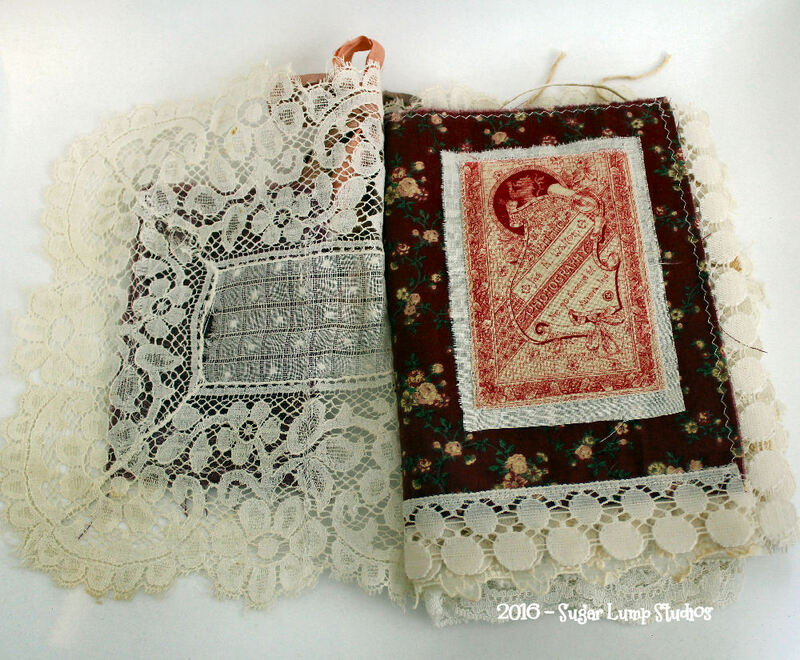 A beautiful lace book, your work is exquisite. 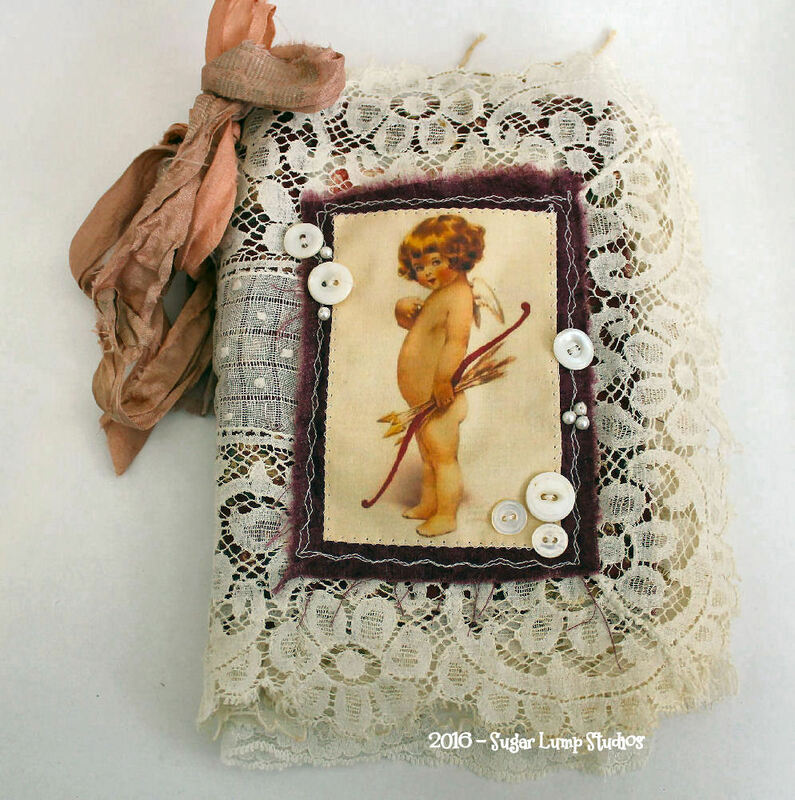 So lovely to see you creating your beautiful work again, Nancy. The laces are gorgeous. 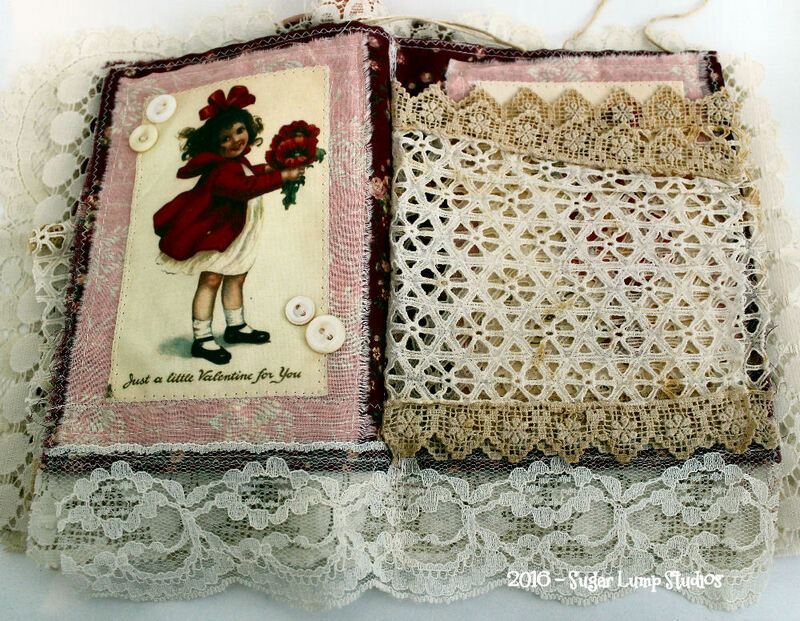 A beautiful book, such lovely laces and images.